As we venture further into the boundless frontier of the solar system, our capacity for exploration is determined by the technologies of the aircraft that take us there. 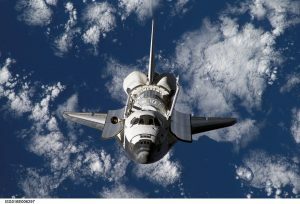 At Starfire, our advanced systems are producing materials used by NASA to increase the stability of its space shuttles. Starfire® technologies have led to the successful development of leading edge parts, small and large area repair kits, high temperature heat exchange, aircraft brakes, re-entry protective components, thruster blocks, and NASA Shuttle tile repair caulk. With our ceramic-forming polymers, aircraft can be built more durably, with advanced design, at more affordable costs to increase performance for our customers.